The sooner you start planning for taxes, the better it will be for you. Here’s a quick guide to get you started. It’s now November and, chances are that you have already been handed your tax liability sheet for 2008-09. If you are a salaried professional, your accounts department has handed you one and if you are self-employed or in business, your chartered accountant must have done so. Have you booked losses in the stock market and are you wondering whether these can be set off against income or gains that may have accrued to you during the year? Surely, these are important questions that you need to consider along with the various tax planning Schemes. To help you get going with the exercise now, instead of running helter-skelter towards the fag-end of the financial year, here’s a quick guide on various tax-saving options available. To begin with, taxation laws allow for the setting off of short-term capital losses on investments in equities and equity-linked mutual funds (MFs) against similar shortterm capital gains. Short-term capital gains or losses accrue when equities or equity-linked MFs are sold under a year of buying them, but not when you sell your shares under an open offer or a buyback Scheme. “Short-term capital losses can also be set off against any gains from the sale of property,” says G. Sekar, a Chennai-based chartered accountant and a certified tax planner. That’s good news for all those who may have sold property for a hefty profit during the boom in real estate prices earlier this year but have also incurred losses on investments on the stock market subsequently. Talking of the stock market, though a lot of people have burnt their fingers in it and sworn to stay away from it, the sheer fall in the stock prices makes it attractive to invest in it through ELSS (equitylinked tax-saving Scheme) MFs. Its advantages are that it locks your investment for three years—long enough for the economy to come out from the current slowdown— and a good Scheme can give you greater “real” Returns than individual stocks if you add up the Tax benefit. Under Section 80C, investments of up to Rs 1 lakh in ELSS are exempt from taxation. But investing in ELSS in one shot is not the way to go. 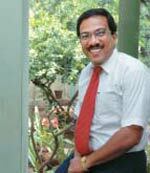 Says J. Karthikeyan, Director, Finerva Financial Solutions: “The investment must be done in an SIP (systematic investment plan). In a falling market, SIP works out very well by averaging your cost and provides better Returns than a onego investment.’’ ELSS’s drawback is that it doesn’t let you sell half-way through and switch over to a better performing fund. According to Karthikeyan, saving should be goal-based. ULIPs (unit-linked insurance policies), for instance, are ideal for creating a corpus for retirement or children’s education and are also covered under Section 80C. In this, the Returns are tax-free in the hands of the investor. ULIPs also allow an investor to switch funds during a downturn and protect his investment, and, importantly, also gives him a life cover. But no tax planning exercise is complete without a health insurance policy, which protects one from prohibitive medical expenses in times of illness of family members and dependents. Premium up to Rs 20,000 is fully exempted under Section 80D. Besides, you can also donate a part of your taxable income to non-profit trusts and government relief funds and avail Tax benefits under Section 80G. Housing loans qualify for a massive tax rebate. Under Section 80C, up to Rs 1 lakh of the principal, and under Section 24, Rs 1.5 lakh of the interest repaid every year is fully exempt. However, investing in a house is not recommended for tax planning purposes alone. 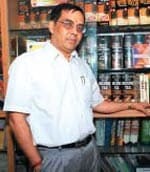 Says Karthikeyan: “When you are paying an interest of Rs 1.5 lakh, you don’t gain value—it is finally expenditure.” He adds that even if one is in the highest income tax bracket of 33.6 per cent, it is still better to pay the tax (which works out to Rs 55,000 for Rs 1.5 lakh). “The remaining Rs 95,000 could be invested for better Returns elsewhere,’’ he says. Therefore, plan wisely. A snapshot of various tax planning Schemes.